Are you sitting in your home or office bored out of your mind? wishing that you could predict if you are due to have an awesome and fun future? 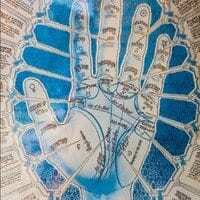 Well this online palm reading tool is the cool website that you have been looking for. Learn everything you need to look for on your own hands. Will you find happiness and adventure? how long will I live for? what are my strengths and weaknesses? Get all of these questions answered and more.